I think the first thing many of us think of, when we think of Cinderella, is the image we've been force-fed by Disney, Cinderella as the belle of the ball in a pretty blue pastel gown, a costume that countless little girls covet for Halloween. (Never mind the cultural pap we imbibe, learning early that the key to happiness is finding Prince Charming.) Perhaps a few of us think back before the cartoon version, to the Brothers Grimm, who famously put the folk tale on paper in 1812. 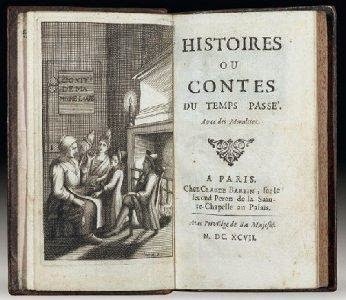 But how many of us know that over 100 years before the Brothers Grimm, Cinderella was a French fairy tale first, written by Charles Perrault in 1697? I certainly didn't! It was Perrault — a Frenchman — who actually gave the world the first written version of the tale passed down through the years in the oral tradition. It was in fact Perrault who wrote the Mother Goose stories, basically old wives tales, amongst them was Cinderella and the Little Glass Slipper. It was he who gave Cendrillon (French for Cinderella) a pumpkin coach, and mice for coachmen. Not that Disney cares, as far as they're concerned they own it. Disney's at it again. Coming this Christmas, we have the rather darker view of Cinderella proffered by Stephen Sondheim in the Hollywood version of his Broadway hit musical, Into the Woods, produced by Disney. I actually have high hopes for that version in which Cinderella, as one part of the overall fairytale mash-up, is played by Anna Kendrick. It's the Cinderella coming in March 2015 that's disturbing. 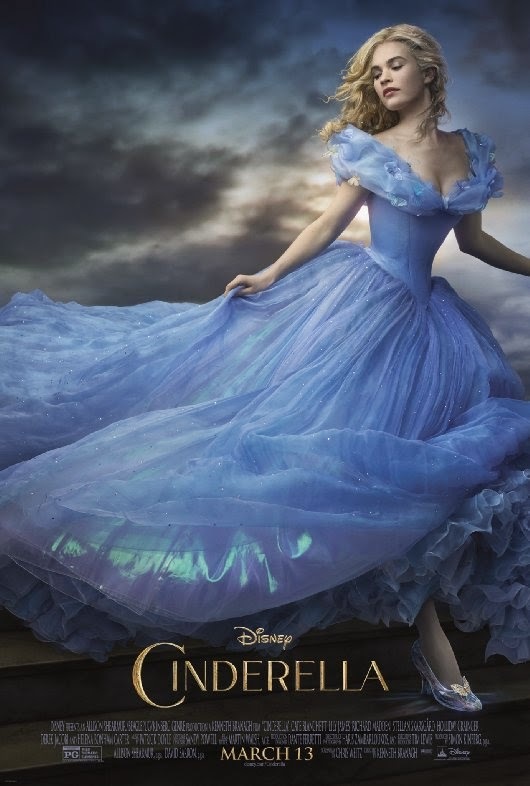 The newest retelling of the old fairy tale comes from Kenneth Branagh with Lily James (Downton Abbey) as Cinderella wearing the same damn blue dress! And, if we can judge by the trailer, the same antiquated some day my prince will come attitude. I expect more from feminist Cate Blanchett who plays the wicked step-mother; her casting gives me reason to hope there is a more modern female-empowered twist. If there is, it's not evident in the trailer. While in a flashback we see Cinderella learn from her mother that kindness is the key to happiness — a great lesson indeed — it's the other insidious lesson about men rescuing us that worries me. Even the fairy godmother changes herself from hag into the lovely Helena Bonham-Carter —and announces 'that's better!' which makes me believe they haven't changed a thing. For females, we're telling our daughters and granddaughters, power still seems to be all about how you look and catching the perfect man. All of which dooms the notion of living happily ever after to nothing more than a fairy tale. I love how you find these French trailers for us. I love them ...especially this one. But I do agree with you about the tired old message...& that same old blue dress! Thanks for both the trailers, I watched them in French and English. It does look a traditional Cinderella retelling in both languages, but sumptuous and visually splendid. I've read Perrault, and probably read his Cendrillon, but don't remember if I have particularly.